In May the Cattaraugus Bird Club had some outings at the Eschelman Tract of Pfeiffer Nature Center. 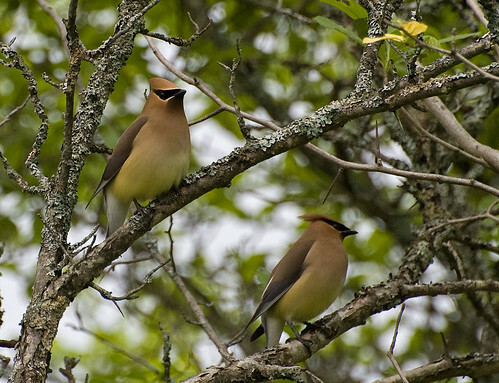 During one of these outings I had the opportunity to observe this pair of cedar waxwings. 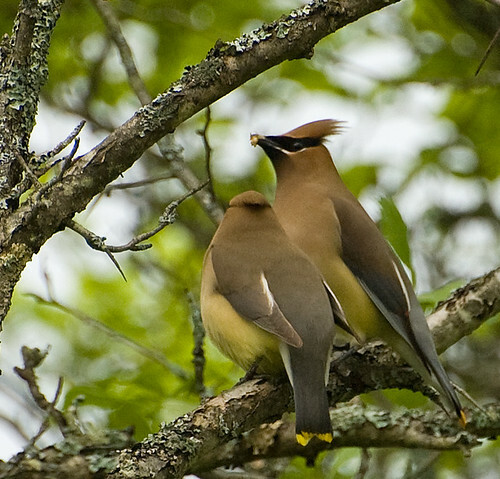 They engaged in the classic “side-hop” and mate feeding courtship behavior described in the Stokes Nature Guides A Guide to Bird Behavior Volume II. This behavior consisted of the birds perched near each other. One, with food, would hop towards the other and pass the food to its mate. The second bird would hop away, then hop back towards the first bird and food would be exchanged again. 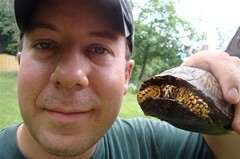 This entry was posted on 23 June 2011 by patacoate. 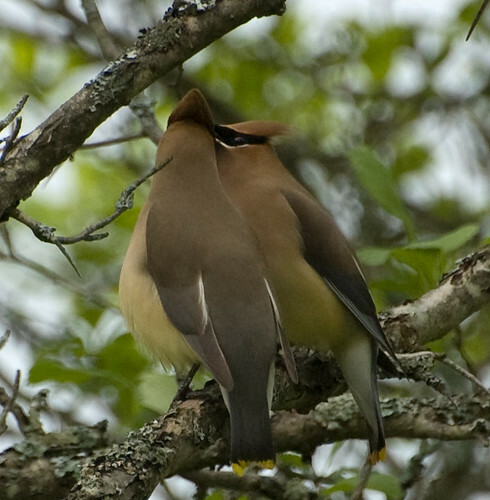 It was filed under iPhone and was tagged with cedar waxwing, cedar waxwing courtship behavior, mate feeding. Pat, outstanding post and I am so lucky to have you part of the monarchbfly.com team! 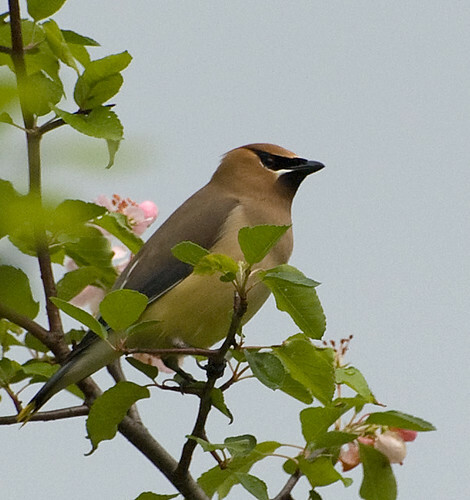 I so love Waxwings and these photos are stunning as they always are! 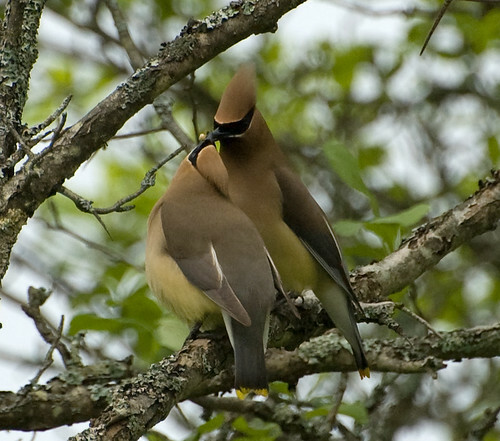 They are such beautiful birds, and you really captured their “attitude” of love. 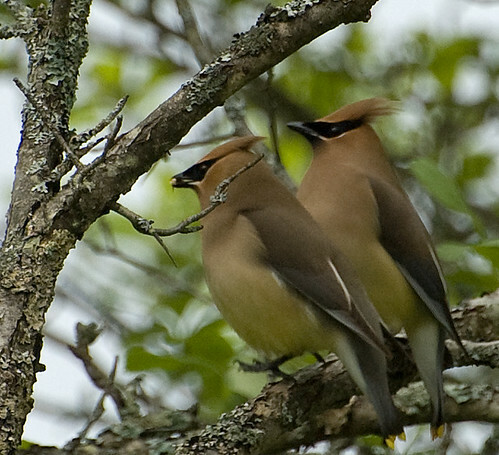 I love waxwings. Only had a few opportunities to photograph them, though. Great photo here, though! I just love to watch birds. For me they are just innocent creatures who sings beautifully for everybody to hear. 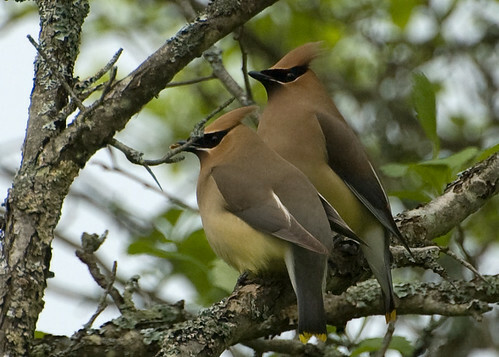 The pictures of the birds are really helpful since it showed the process in how they are able to interact with their fellow bird or partner.